During the summer I have been acting as an art volunteer at RAMM in Exeter on two or three days a week. This has involved engaging with visitors about the temporary art exhibitions: Work by Gillian Ayres; Wasted - an exhibition by Gina Czarnecki; and Masters of the Moor - paintings by William and FJ Widgery. 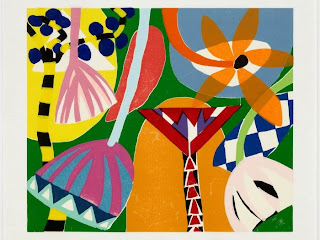 The Gillian Ayres exhibition is finishing on the 15th September and I would urge you not to miss it. 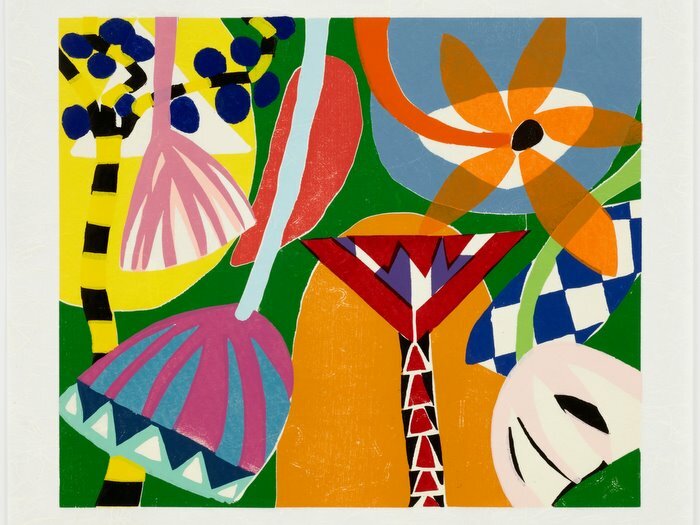 Gillian Ayres’ work has many influences and her style has changed over the years. In the 1950s she worked in the tachist style – a European version of abstract expressionism. In the early 1960s she was more influenced by her peers - Hilton, Scott, Hodgkin etc - but then in the later 1960s went on to produce cooly formulaic decorative work, typical of the period (think hippy/BIBA-style). In the 1970s she returned to exploring the limits of colour and form. Her style became denser with a chromatic touch recalling the late Monet garden paintings and this work evolved into the style seen in this exhibition. The show includes monoprints (including a couple of large linocuts), multiple prints, and both acrylic and oil paintings. 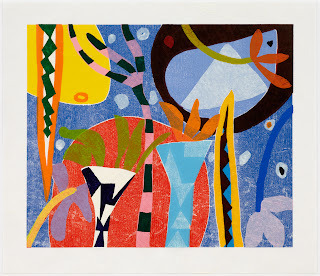 The great majority of the work - which spans 25 years - is prints. This is a new departure for Ayres who previously was primarily known for her vigorous painting style using oils and, in her early work, Ripolin. Ayres is now 84. However, she came along to the preview evening and spoke at some length with the art volunteers. 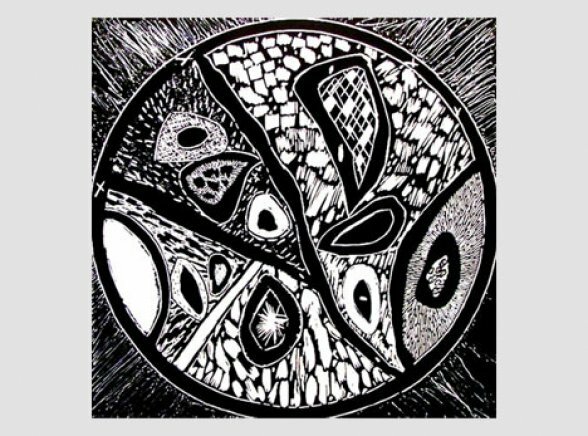 She remains passionate about her art and continues to follow a purely abstract path (despite what is suggested by the names of her works which are titled - not necessarily by her - simply to identify them one from another). Her printmaking is done in collaboration with Jack Shirreff- a master printmaker. 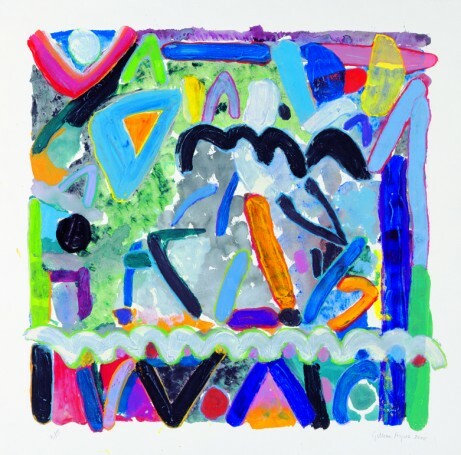 Nevertheless, Ayres has a distinctive approach to printmaking, often using carborundum as part of the printmaking process and overpainting many prints by hand. A number of museum visitors recognised similarities to work by Howard Hodgkin and more noted the influence of Matisse. Many commented that the work was life-affirming. Personally I recognise parallels with, if not the influence of, Mexican folk art and Keith Haring in the later work. 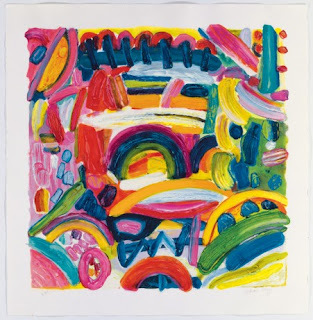 Although it is a pity that the exhibition does not include work from other periods, it is nevertheless a great opportunity to see some of the last 25 years' output from Britain's foremost living woman abstract painter. Her work can be purchased from RAMM, during the exhibition, or from the Alan Cristea gallery. You have until the 15th September to catch the exhibition.